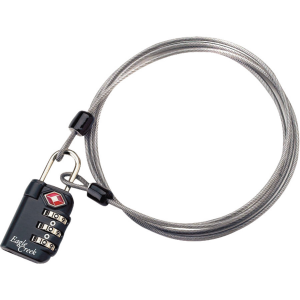 Travel with your belongings secure with this three-dial combination lock and cable set. 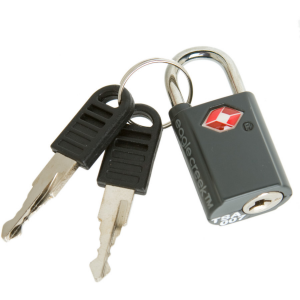 Did you know that Transportation Security Administration (TSA) baggage screeners have a secure set of codes and tools to open Travel Sentry Certified locks when necessary for inspection...without damaging the lock? This means and peace of mind, knowing your bag or lock wont be abused in the inspection process.